Witch Hazel For Skin: Is It As Irritating As Paula Begoun Says? What The Heck Is Witch Hazel? Witch hazel is the nickname for Hamamelis Virginiana, a flowering shrub that grows in North America, China and Japan. The extract used in skincare comes from its leaves and bark. For centuries, Native Americans used witch hazel for its soothing properties. Now, rumour has it can fix any skincare woe, from acne and oily skin to sunburns and even varicose veins. Witch hazel is famous for its anti-inflammatory properties. Studies show that 10% distilled witch hazel helps treat inflammation from excessive sun exposure (but it doesn’t work as well as 1% hydrocortisone). It works thanks to Proanthocyanidins, a group of antioxidants with soothing abilities. FYI, witch hazel also contains tannins, a family of astringents that soothe skin too. BUT, they’re usually removed during the distillation process. Witch hazel is an astringent. That’s a fancy way of saying it can dry and constrict skin. Here’s how it works: the tannins in witch hazel compress proteins in your skin, causing it to shrink. They do this either by drying or irritating the skin. That’s why oily skin loves astringents. By constricting the skin, they dry up oil production. No excess sebum = no shine. Plus, the skin around the pores squeezes them shut, making them look smaller. Goodbye large pores! But wait, didn’t you say that tannins are removed during the distillation process, Gio? I said USUALLY. Some types of witch hazels are not distilled so you still get your fair share of tannins. But, unless the brand tells you, how do you know how, or even if, witch hazel was distilled? Either way, I’m not a fan of astringents. I don’t think drying out skin is ever a good idea. Plus, the effects are only temporary, anyway. Between proanthocyanidins and tannins, witch hazel has its fair share of antioxidants. Antioxidants patrol your skin looking for free radicals, the “criminals” that give you wrinkles and dark spots. When they spot on, they immediately destroy it, keeping your skin safe from harm. That’s cool. But it doesn’t mean witch hazel is best thing to prevent wrinkles. Studies shows that green tea is a more powerful antioxidant than witch hazel. Having said that, you know my stance on antioxidants: the more, the merrier. Related: What The Heck Are Antioxidants And How Do They Work? 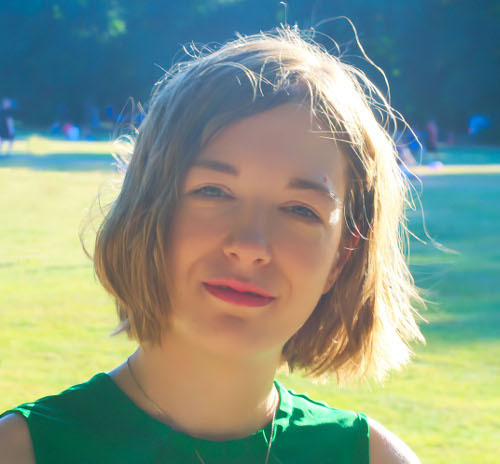 The “natural is better” brigade always forgets one thing: you don’t put the whole plant in a serum or moisturiser. Nope, you must extract, distill and/or process it. Talking about witch hazel, the extract is ALMOST ALWAYS distilled with alcohol. You see, alcohol is very good at soaking stuff up. It drinks up all the goodies from the plant and carries it into your skincare products. Problem is, a lot of this alcohol remains there, too. 14% may sound tiny to you but it’s not. It’s high enough to disrupt the skin’s protective barrier and cause dryness and irritation. If you’re the kind of skincare fanatic who wouldn’t touch anything with a drop of alcohol in it, witch hazel is off-limits too. Related: What Does Alcohol-Free Really Mean? Again, the “natural is better” brigade believes that plants only contain antioxidants and all that good stuff. I wish! Truth is, plants are complex living beings with both good and bad qualities. They have antioxidants to protect themselves from the environment. But they also have toxic compounds to keep predators away. Often, they have a scent, too. The stuff that makes them smell so good – like eugenol – is usually irritating for skin. 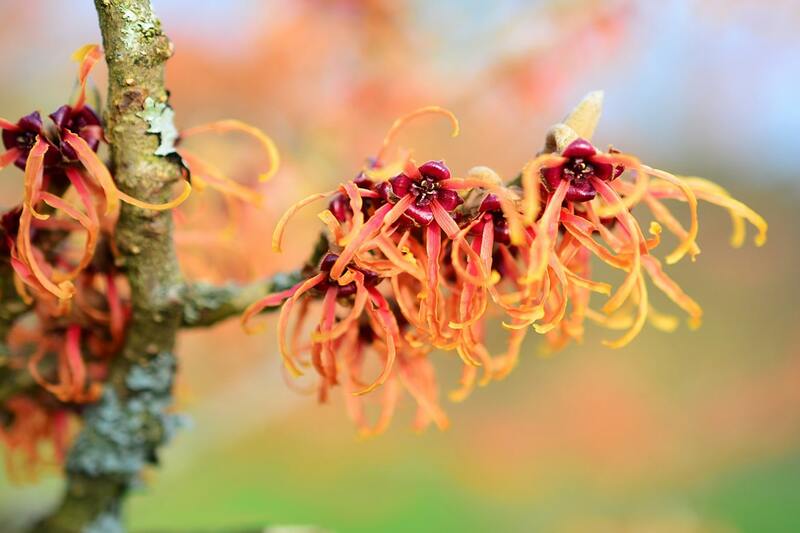 If you find that anything scented – be it a moisturiser, laundry detergent or perfume – gives you a rash, you’d better stay away from witch hazel, too. Wouldn’t it be easier if everything was black and white? This is good, use it. That’s bad, avoid it. But if you’re older than 5, you’ve probably figured out that life doesn’t work that way. There are many shades of grey. Witch hazel falls in this grey area. It does have soothing and antioxidant properties that help skin heal faster, reduce irritation and prevent wrinkles. BUT, it also has its fair share of irritants – especially when distilled with alcohol. Take the majority of Western toners for oily skin. They have a huge dollop of witch hazel, plenty of alcohol and little else. That’s asking for dryness, irritation and all kinds of skin troubles. But when witch hazel is a small part of a cream that has its fair share of moisturising oils and soothing antioxidants? That’s when witch hazel shines. It can do its job without drying out your skin. In other words, judge the formula, not the ingredient. FYI, it goes without saying (but I’ll say it anyway) that if you’re allergic to witch hazel, you should avoid it completely. 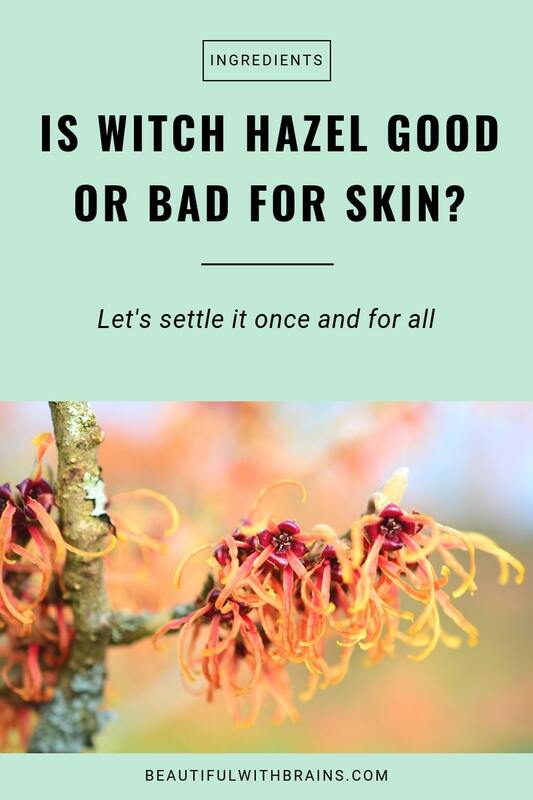 What are your thoughts on witch hazel for skin? Share them in the comments below. Thanks for this clarifying post! I still hace doubts about the pixi glow toner because it contains witch hazel but i think i will give it a try. Have you tried it? Lucila, yes I have tried it and it works fine for me. But everyone’s skin is different so there’s no way of knowing how you will react to witch hazel until you try it. I’ve struggled with this one. I like your advice to judge the formula and not the ingredient. I’ll do that.